In pitch-perfect prose, Angle of Declination tells the story of Allison Hayes and her husband Mike Bowman, a Vietnam vet whom she loves deeply yet struggles to understand. Mike and Allison’s future seems boundless in 1973, but when their wanderlust takes them deep into the Canadian wilderness, something happens that causes their marriage to crumble and forces them to confront each other’s demons, as well as their own. Alone and emotionally devastated, Allison returns to her roots, a sleepy little town on the St. Lawrence River, where she rebuilds her life with the help of her uncle, who is equal parts shaman and smuggler. From suburban Chicago to First Nation reservations to the Seaway villages of northern New York, Angle of Declination is a radiant odyssey of love, forgiveness and renewal. Doug and Sally Mayfield live in northern Minnesota. 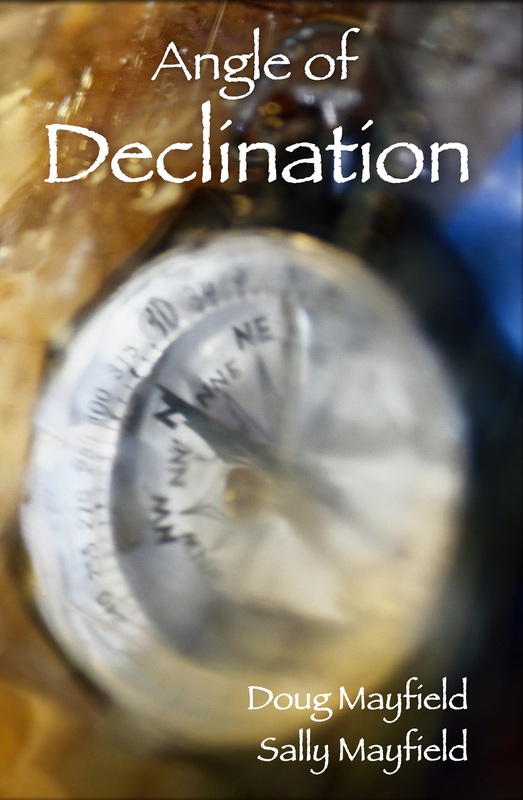 Angle of Declination is their first novel.